SOAP is a formatting protocol which provides standards for arrangement of requests and response for the communication between client and webservice. This standards are open industry standards given by W3C. Then the request will be forward to SOAP. 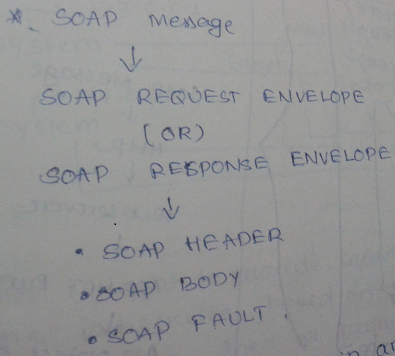 SOAP will encode the request into XML based format called as SOAP message. The SOAP message will be given to HTTP. 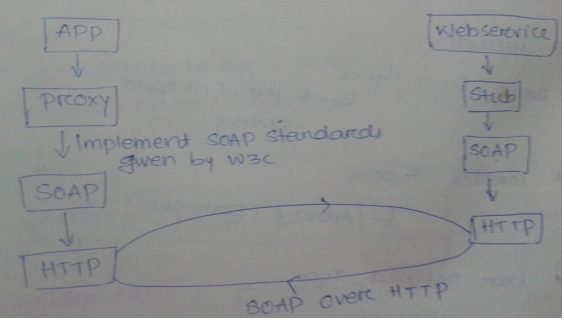 HTTP will carry soap message to the web service environment. The requested method will be executed by the stub object and result will be given to SOAP. SOAP will encode the result into XML based format called as SOAP message. This SOAP message will be given to HTTP. HTTP will carry SOAP message to the client environment. 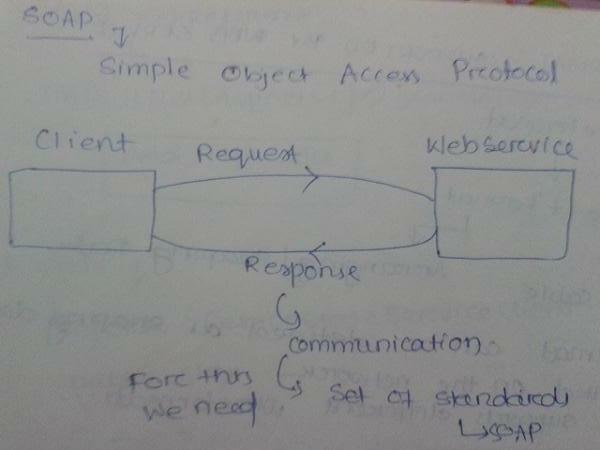 In the client environment proxy will convert SOAP messsage into normal data and provides to client APP. SOAP header will contain any additional information which has to be sent with the method call. This information will be authentication information that is username, password security token so on. SOAP body will contain method information or result of the method. SOAP fault will contain error information.